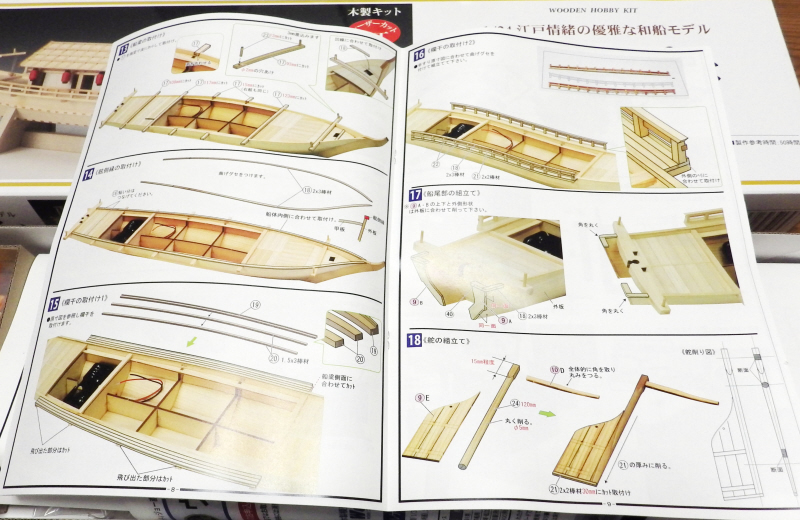 About the YAKATA BUNE / Traditional Japanese style pleasure boat. 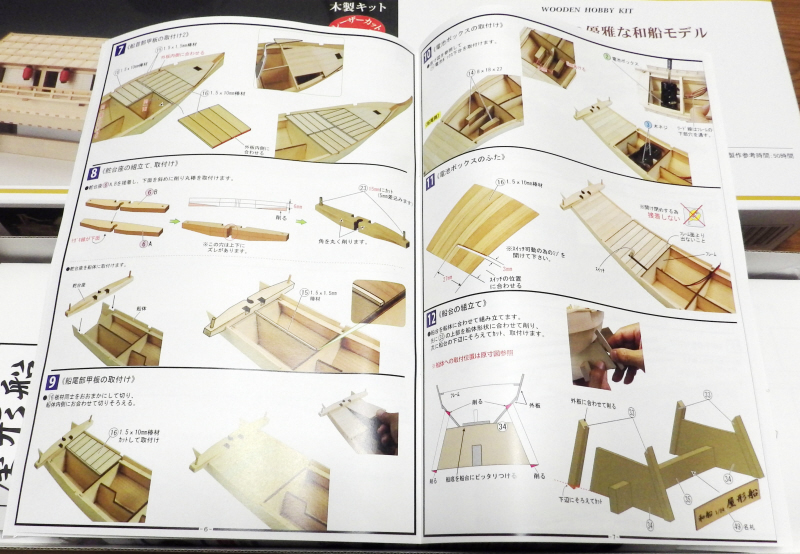 Surrounded by the sea on all sides, the river flows like an eye of the net In Japan, maritime traffic by ship developed.The structure of a Japanese style ship has a unique shape which is completely different from that of a western ship, and is collectively called WASEN. 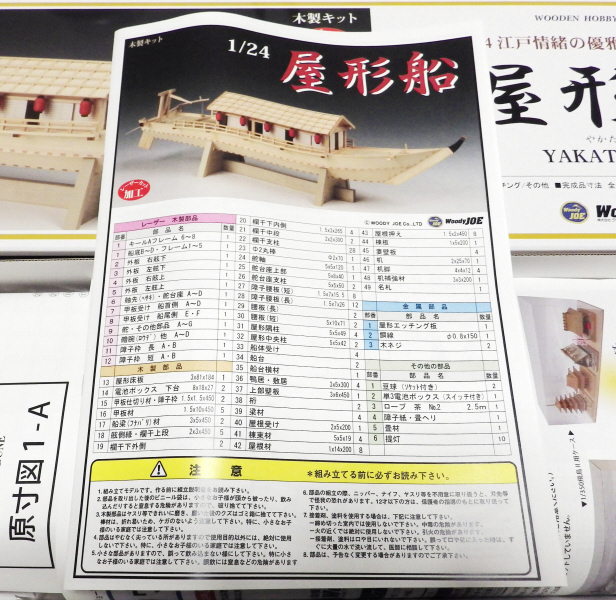 Among them, a Yakata bune loved by commoners in the Edo period. 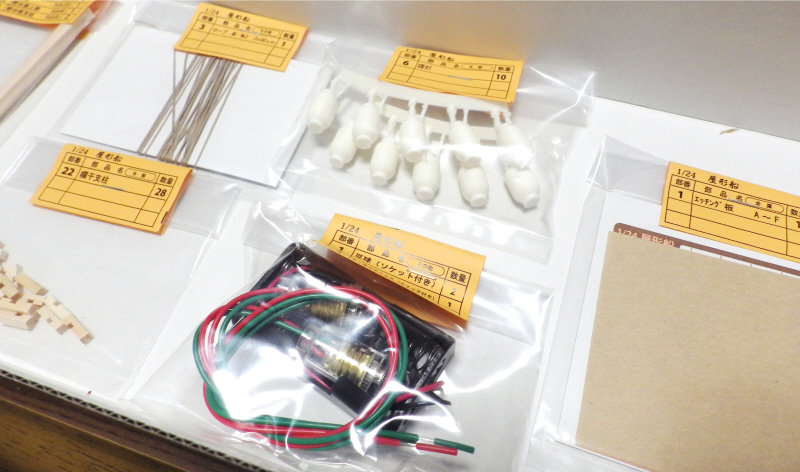 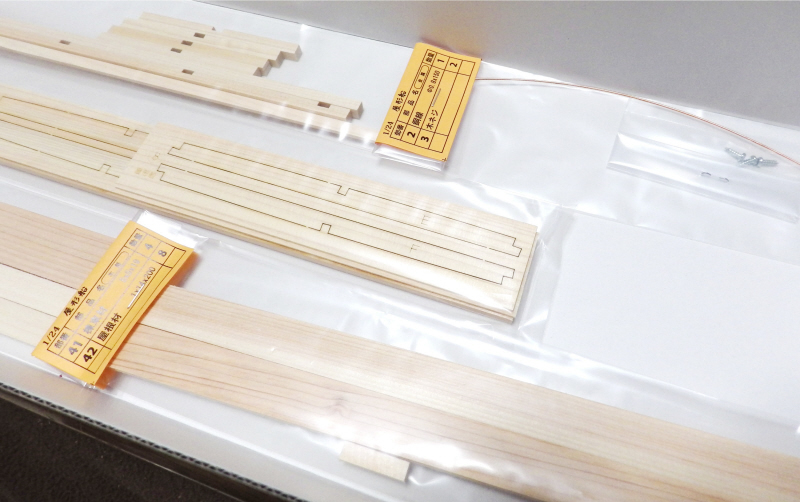 The kit uses laser material processing parts cut precisely. 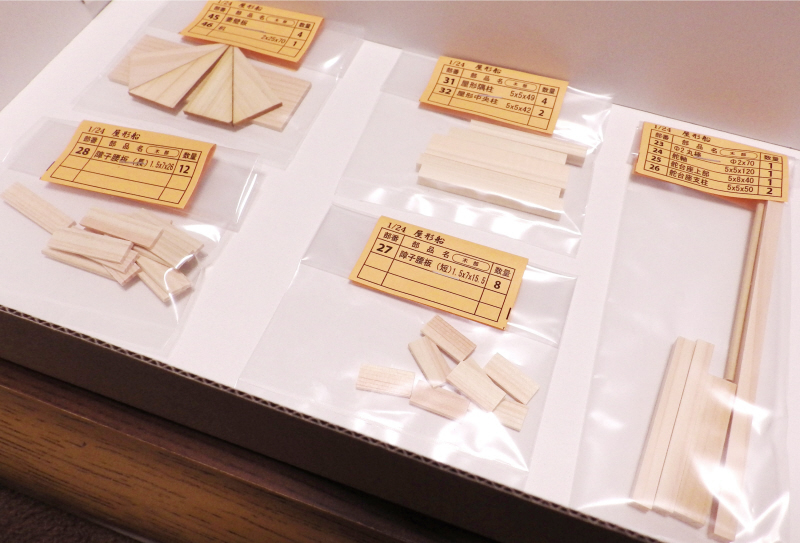 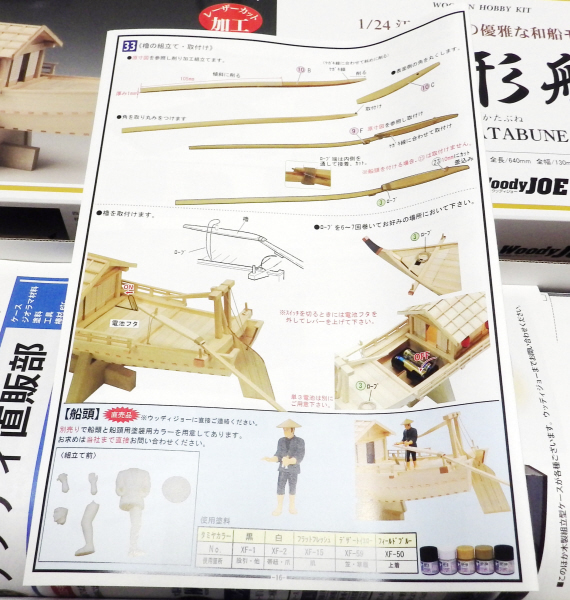 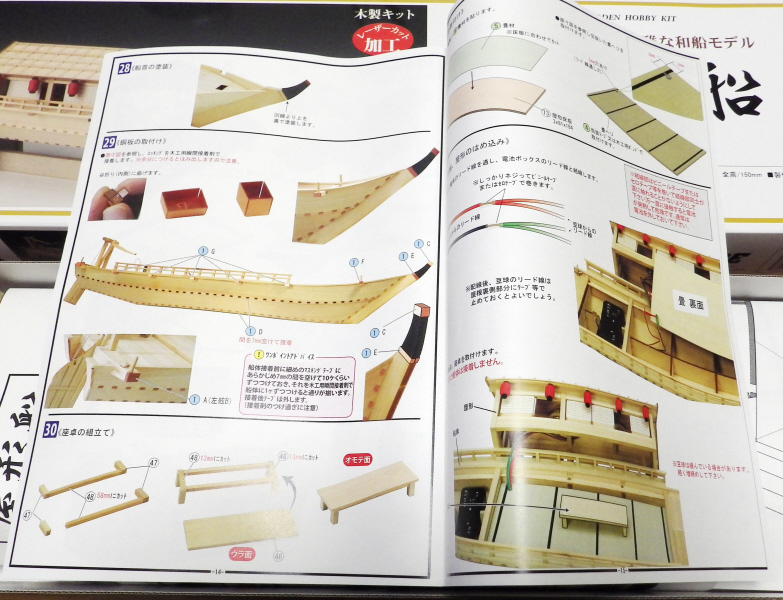 It was easy to assemble a shape peculiar to Japanese-style ship and modelled it. 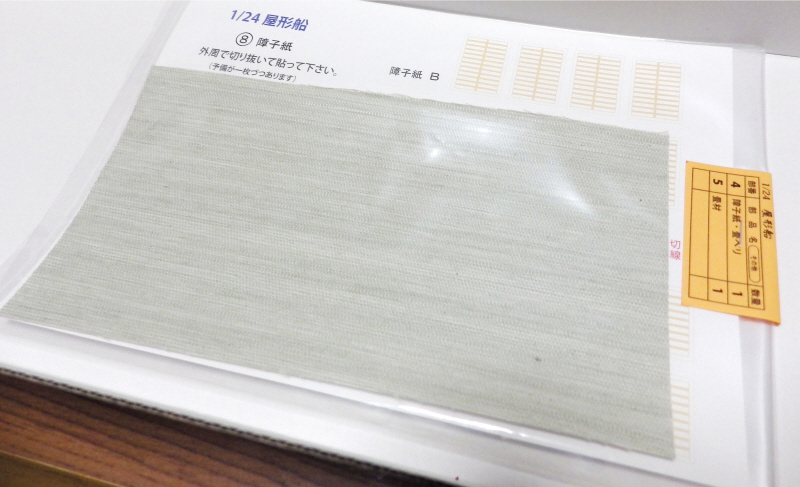 A tatami mat is spread all over the pleasure boat room and opens and closes the window like a genuine article. 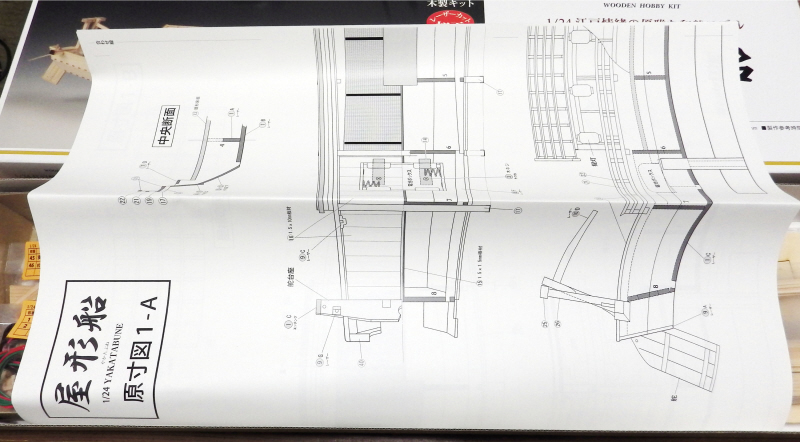 Furthermore, a light turns on the room and heaps up an atmosphere. 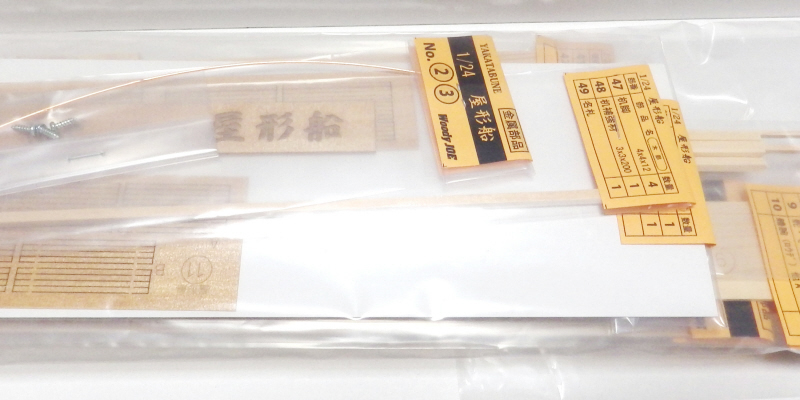 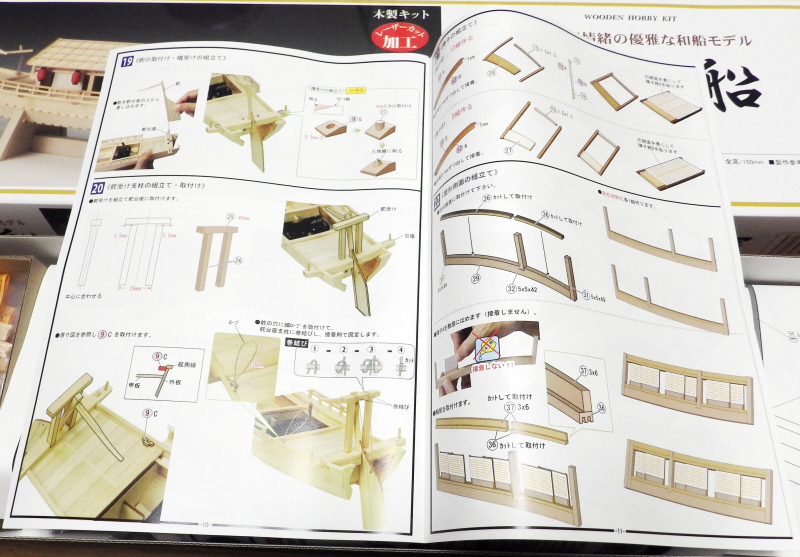 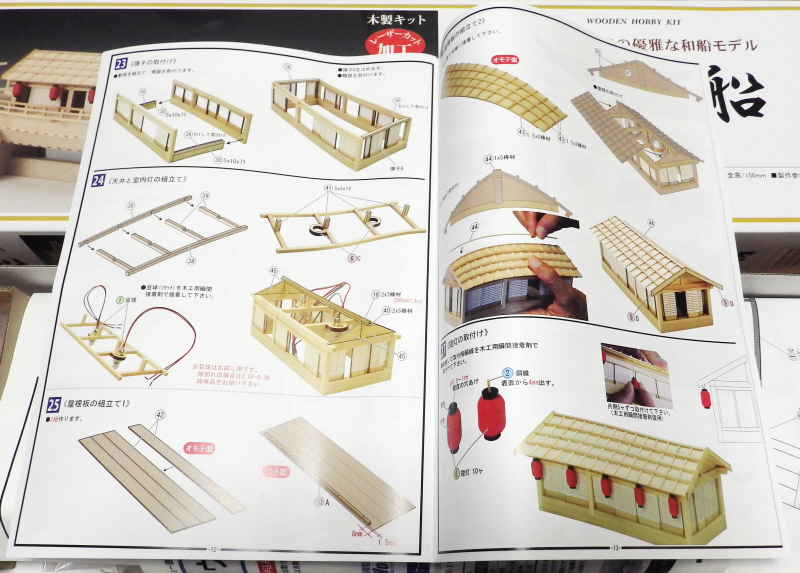 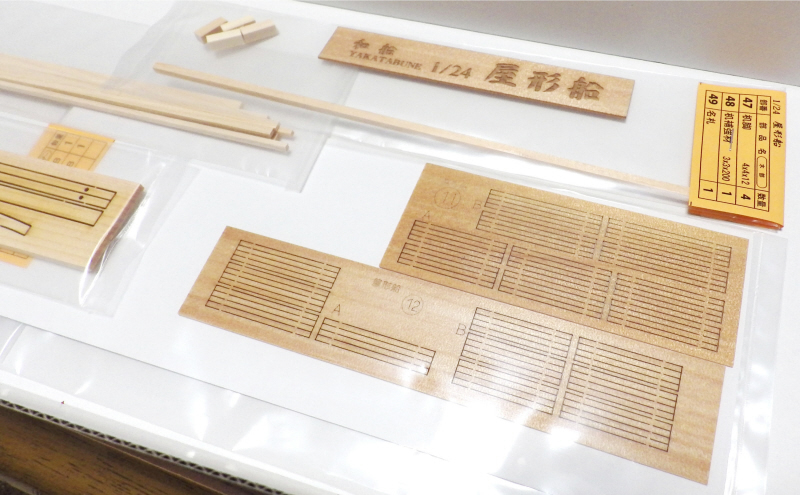 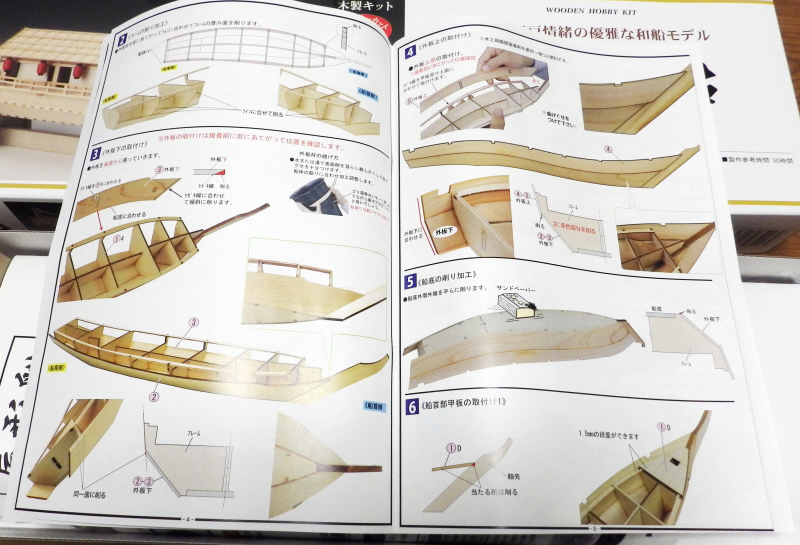 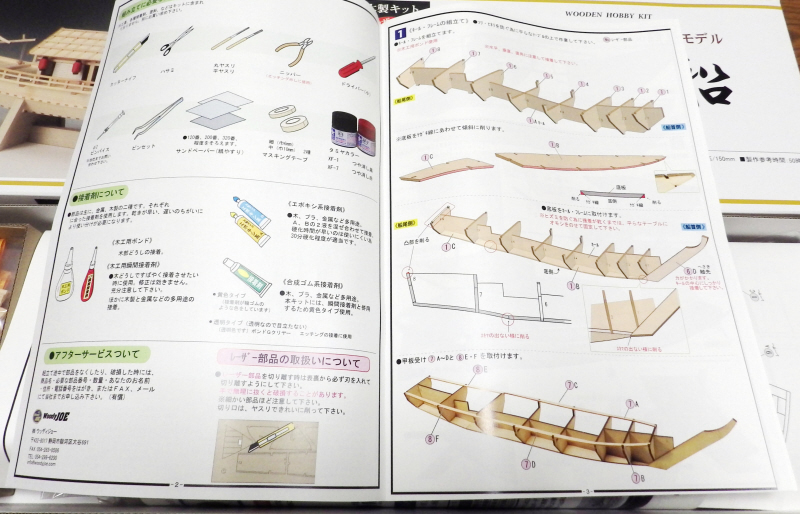 A color assembling manual, the assembling full-size drawing are renovation, the real Japanese-style ship models that it is easy to assemble.